Hey all – Needed an encounter map for a street in a small desert town. So I whipped this up in photoshop and made it available to buy ($1) at DriveThruRpg. It comes with full sized .jpgs to plug into a VTT and ready to print versions in a .pdf (8 versions in all – without or without grid, labels, color/grayscale). 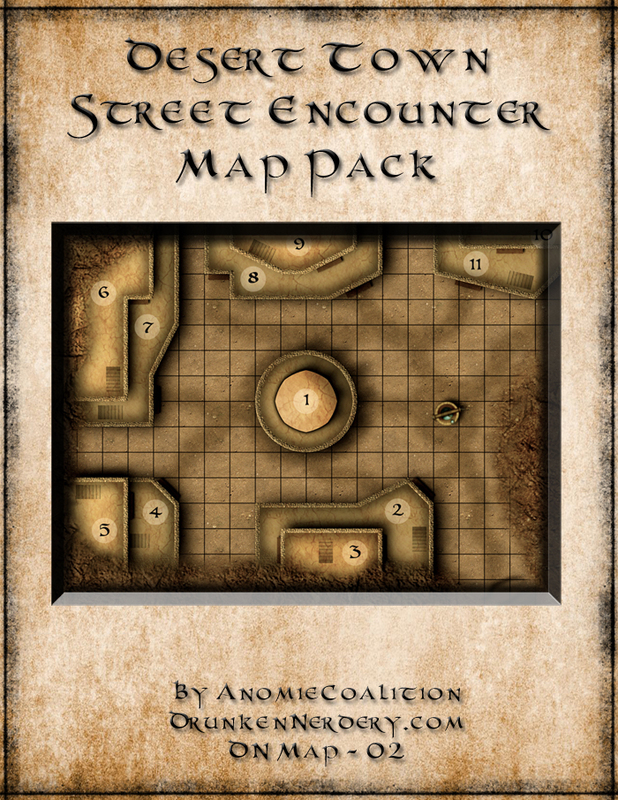 Categories: News | Tags: 3.5, Battlemap, D&D, Desert, dnd, Encounter, Street, Town | Permalink.